Lyme Borreliosis (LB) infections are caused by the spirochete bacteria, Borrelia burgdorferi, and are difficult to detect, leading to potential long term health issues if untreated. The usual symptom of infection is a rash, but there can be more severe long term problems, such as pain and swelling in joints, or nerve problems. The two types of blood test currently available can be inaccurate, especially in the early stages of the disease. Areas where the disease is prevalent are growing. The European Centre for Disease Prevention and Control (ECDC) report that cases of infection, especially in Central Europe have been steadily increasing. Public Health England (PHE) estimates there could be as many as 3,000 new cases in the UK every year, although the real number is almost certainly higher, leaving a growing number of affected people. 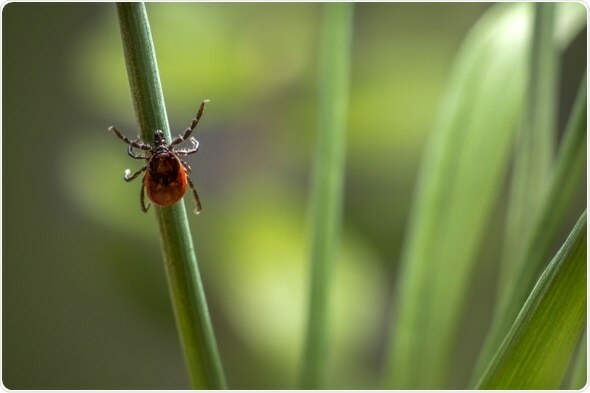 The Centers for Disease Control and Prevention (CDC) in the US report a doubling of tick borne diseases to 48,000 in 2016, of which 82% are associated with Lyme disease. The European project team is lead by the Fraunhofer Institute for Reliability and Microintegration in Berlin, Germany. The project was established to develop a prototype diagnostic tool, for early diagnosis of LB disease. The analysis device will be easily portable and able to be used in clinics, doctor’s surgeries, and field hospitals around the world. The underpinning technologies are based on the detection of the disease from a small blood sample, which will be taken from a patient in an easy-to-access point of care environment. Innovative photonic technologies are used to detect cytokine biomarkers in serum. Cytokines are integral to the human immune system, aiding cell to cell communication, and cytokine biomarkers are present in LB infected people. The optofluidic technology, using bottle microresonators, represents an exciting potential model for future point of care diagnostics. UDA are contributing both their technical expertise and their medical device systems know-how, working closely with the entire consortium and across all the work packages. “It’s exciting to work on a potentially ground-breaking project which could have such wide implications for the point of care diagnostic field. One of the main elements of this device is that it will be low cost and accessible”, Phil Marsden, Managing Director of UDA finds it stimulating to work in a consortium with excellent European Partners, “Diversity, different backgrounds, and first class technical expertise in disciplines from bioengineering, and micro-fluidics to photonics, electronics and packaging, as well as in vitro data analysis, make for a great team”. Success from the project could drive further exciting developments, opening the opportunity for similar devices aimed at pathologies where a specific cytokine response is a clear indicator of a specific disease. UDA will build on their experience in this project by seeking further Point of Care diagnostic device projects.